It’s fitting that Oregon, land of craft beer and gorgeous landscapes, would find a way to celebrate both. If the weather has you champing at the bit for wide open spaces and a tall cold one, we have just the trip for you. Saddle up and head out on the Eastern Oregon Brews Byway. Start your tour in Boardman at Ordnance Brewing, a farmer-owned operation named after a ghost town. The taproom is located inside an old onion plant, where 15 taps flow with the brewery’s distinct beers and one guest cider. Next head to Pendleton, where you don’t have to be a cowboy to appreciate the Western flavor of Prodigal Son Brewery and Pub. 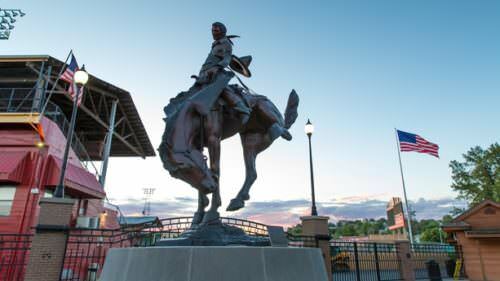 But out here, in the land of the Pendleton Round-Up and the Blue Mountains, you could start channeling Johnny Cash. Reach for A Beer Named Sue. In Milton-Freewater, visit Dragon’s Gate Brewery, a farmhouse brewery specializing in small-batch, Belgian-style ales brewed from estate-grown hops and naturally carbonated through a bottle conditioning process. 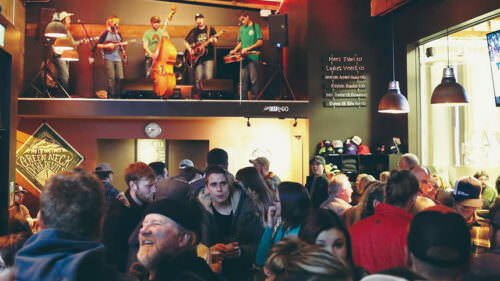 A historic firehouse is the one-of-a-kind setting for Side A Brewing in La Grande, serving small-batch beers in downtown. Peruse the adjacent museum and enjoy the upcoming back-alley beer garden. 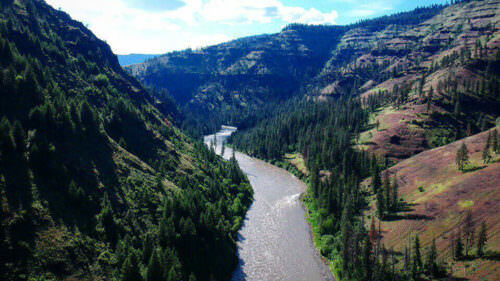 Further on, you might feel like the wild beauty of northeast Oregon wants to eat you for breakfast. The towering peaks of the Wallowa Mountains, pristine depths of Wallowa Lake and remote trails of Eagle Cap Wilderness demand your respect. Raise a glass to rugged individualism at Terminal Gravity Brewing in Enterprise. Back on I-84, you’ll find yourself steeped in Oregon’s past in historic Baker City. Reflect on the 19th-century settlers who passed by on the Oregon Trail at the National Historic Oregon Trail Interpretive Center, and learn about those who stayed to farm and build the charming town. 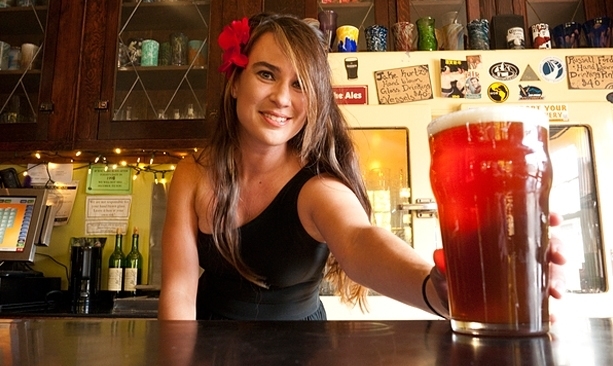 End your own day at Barley Brown’s Brew Pub or Lefty’s Taphouse. When you reach the far eastern border of Oregon, it’s nice to know you are still safely in beer country. Celebrate that fact at the bicycle-themed Tandem Brewing in Ontario, which shares a space with the Jolts & Juice Co., a coffee house and bistro. Here you can salute the wild and scenic region with a pint of Triple Chainring IPA. In Burns, the beers are calling at Steens Mountain Brewing, a family-owned nanobrewery that focuses on all-grain recipes and uses more than eight varieties of local heirloom hops. Each beer is inspired by a Harney County landmark or event. Head north past the Malheur National Wildlife Refuge to 1188 Brewing Company in John Day. Along with tasty brews like the Box Canyon Pale Ale, the brewery offers a full menu of mouthwatering dishes to fuel adventures in Grant County. Last stop is the new Tiger Town Brewing in Mitchell, the gateway to the Painted Hills, where the tap list rotates by season. Expect a watermelon wheat in the summer, a smoked porter in winter and a tasty food menu year-round. Enjoy the Eastern Oregon Brews Byway safely, and please don’t drink and drive.